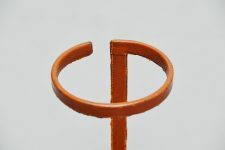 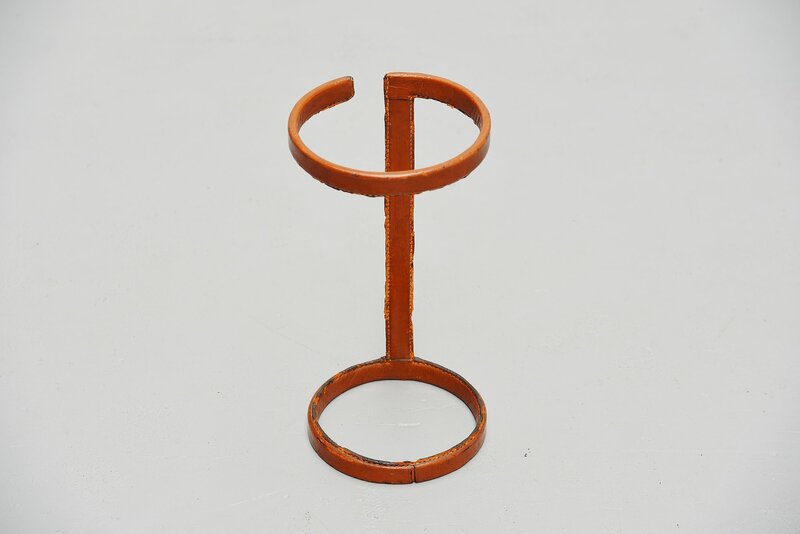 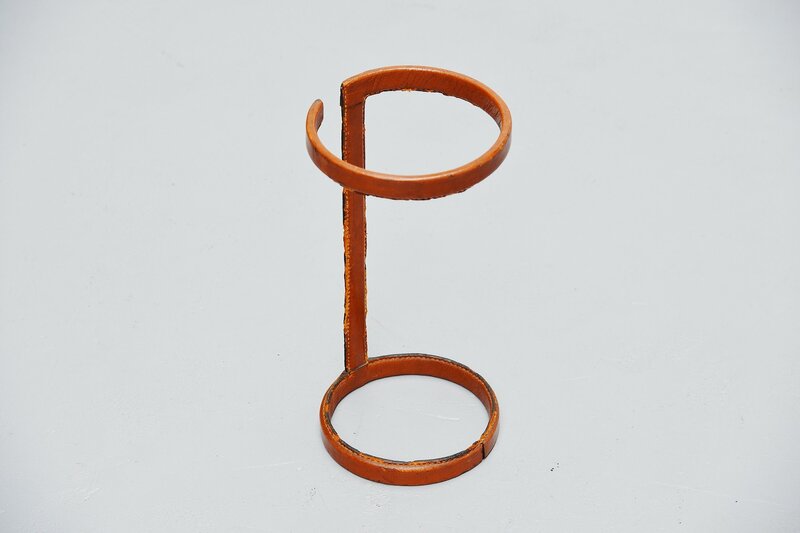 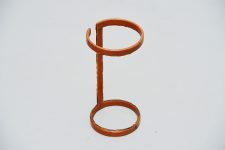 Decorative umbrella stand designed by Jacques Adnet and produced in the Atelier of Jacques Adnet, France 1960. 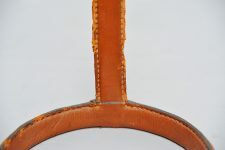 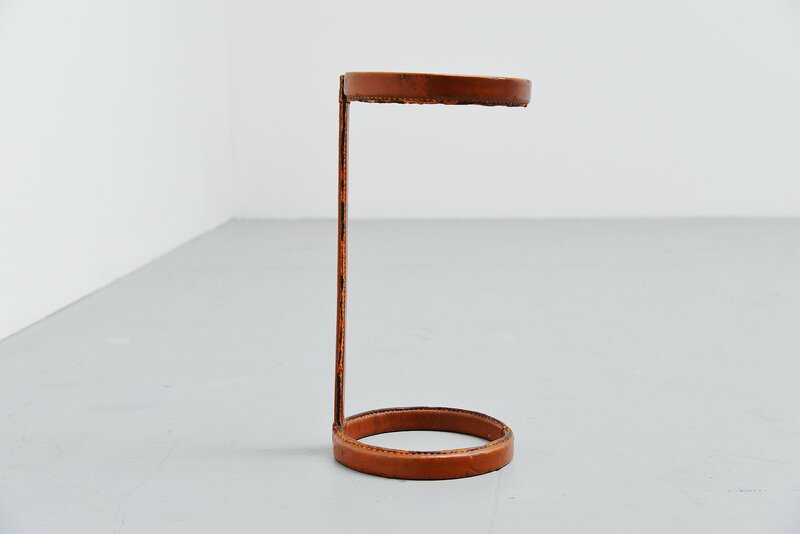 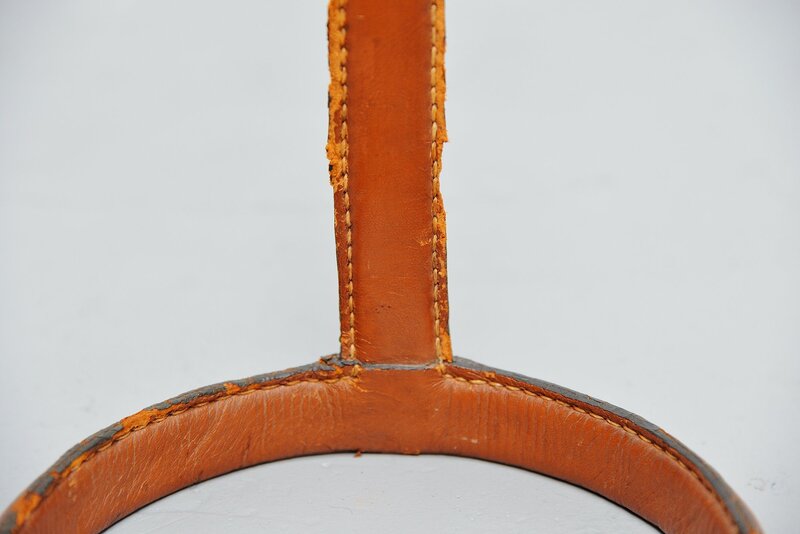 This umbrella stand has a cognac stitched leather frame with metal inside. 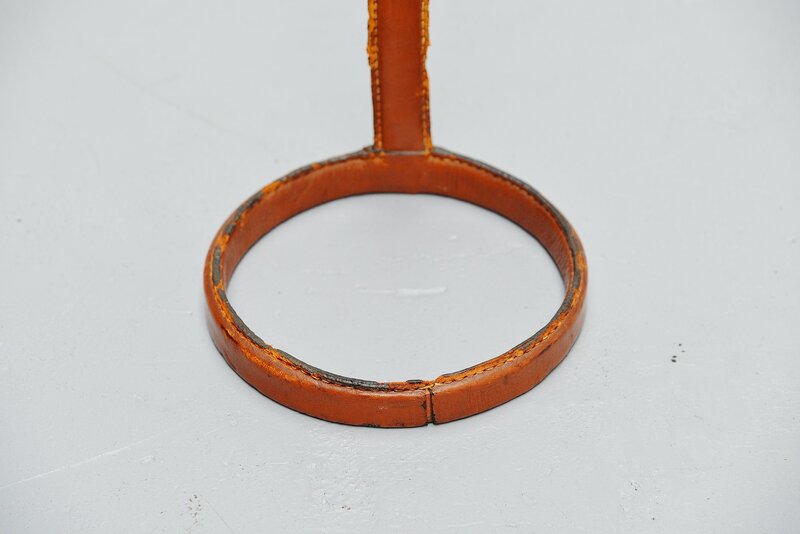 It has some losses and a strong patina but it suits a piece this age. 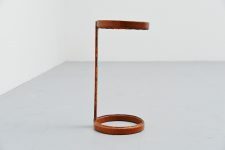 Very hard to find piece by Jacques Adnet and highly decorative.